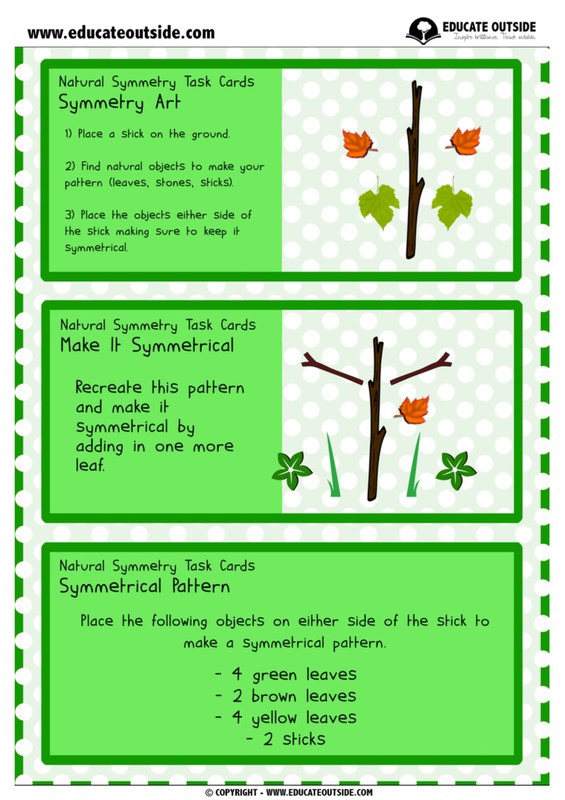 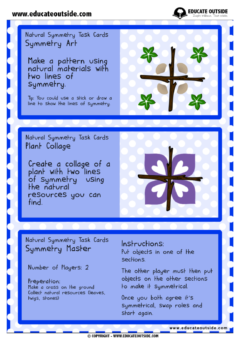 Your class can explore symmetry with these fun activity task cards. 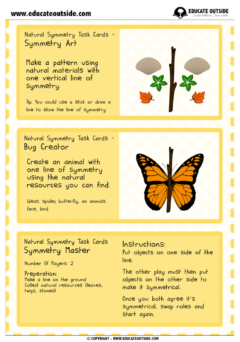 There are 12 differentiated activity cards covering a range of different environments from woodland areas to the beach. 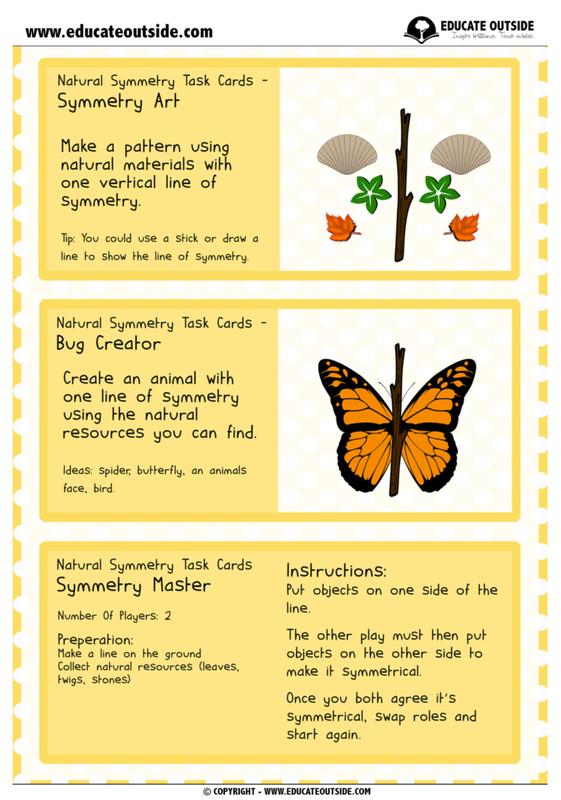 These activities could be used with younger children with adult support.